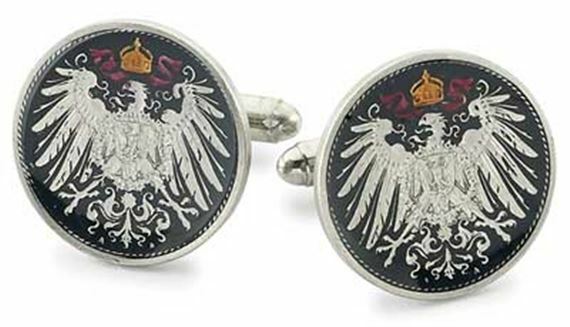 Order your Silver Star Germany Mark Eagle Coin Cufflinks today from FahrneysPens.com. Fine Pens, Refills & Luxurious Gifts – great prices & fast shipping. Authentic German Marks are delicately hand-painted and fired, each one is a small work of art protected with clear resin to add depth and luster. The silver-plated cufflinks make a treasured gift!